Rider Mania, the biggest gathering of Royal Enfield riders concluded on Sunday, 20th November, 2016 with the largest turnout ever since the inception of the festival. Organized at Vagator in Goa, the three-day motorcycling extravaganza hosted thousands of motorcycling enthusiast from India and from several continents across the globe. Motorcycling is a way of self-expression and this year for the first time, Rider Mania showcased ArtatRiderMania – motorcycling inspired art. The deep connect and passion for riding, came to life with various motorcycling inspired art exhibits around the Rider Mania venue. Helmet art, tank paintings and 3D canvas creations were few of various ways artists used their own creativity to communicate a motorcyclist’s lifestyle and expressions. S. Thiru, photographer & installation artist Hrishikesh, showcased their work called ‘Singularity’ close to the venue entrance. The artists described their work – an 18 foot tall metal installation, as the point where all parallel lines meet; the moment when man becomes one with the machine; and the journey begins. Another major attraction was the ‘Art Shed’ by Vidhi Khandelwal, a prolific illustrator, Ketaki Pimpal Khare, a multi-media artist and Ravindra Mahale, who specializes in water colors. The trio experimented and showcased art that signified the Rider Mania spirit through various mediums. A small bar at the venue was beautified by an artistic representation by Hammered, an Indian digital artist who specializes in automotive friezes. Rider Mania 2016 saw record participation, not just in numbers but also attendees from diverse backgrounds. 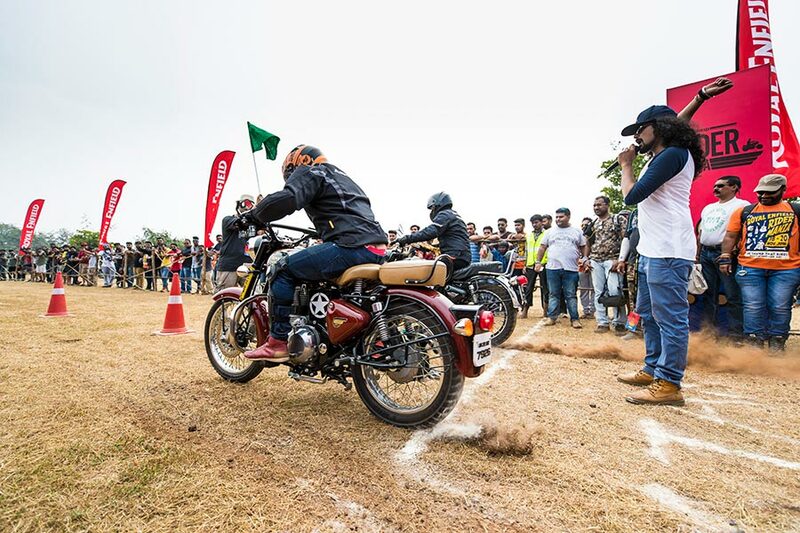 Riders, old and new, rode from as far as Delhi, Guwahati, Gwalior, Ahmedabad, Jaipur and even Bhubaneswar for the annual get-together relishing every moment leading up to Rider Mania. The festival saw passionate motorcyclists participate in fun and competitive events. 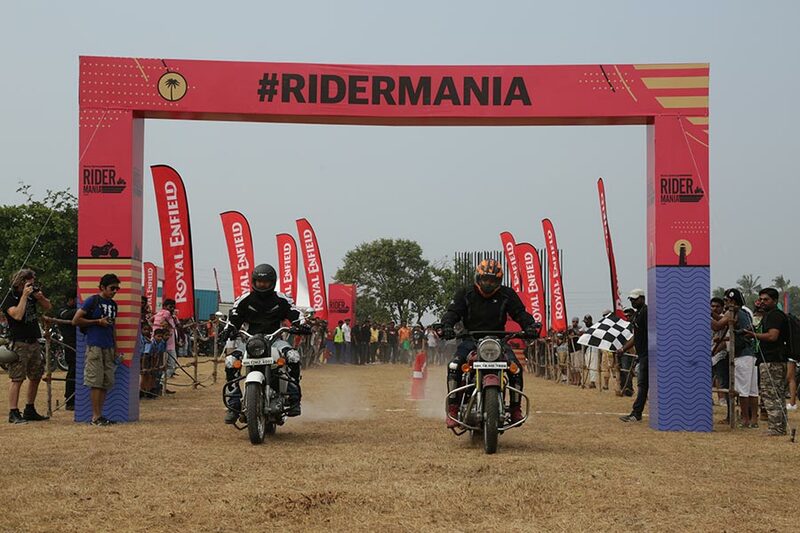 The most sought after event at Rider Mania – the Dirt Track Race saw participants turning up in their special race-tuned motorcycles to slug it out on a dusty, uneven race track. For the first time, a special Himalayan category was introduced. 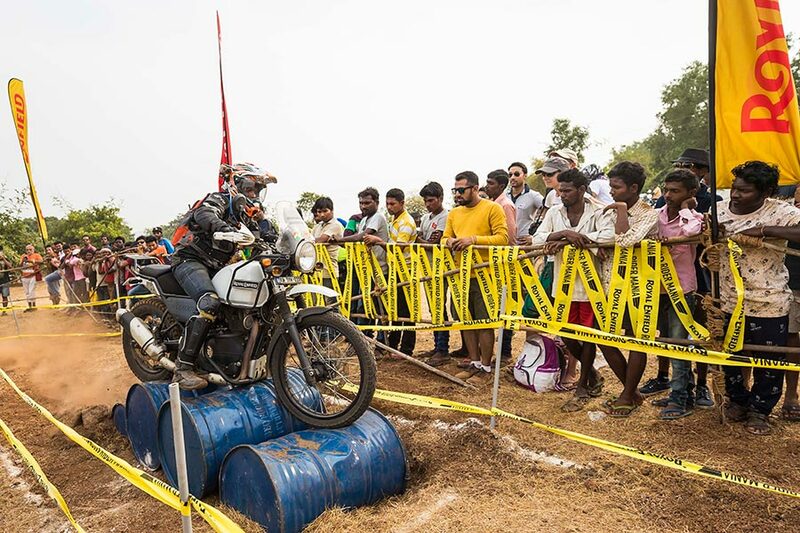 Sanjay Kumar won the first ever Himalayan men’s expert category dirt track race and Salman Khan was the winner of Mens Himalayan novice category. In the Mens 500cc category, Omkar Budhale won in the Experts and Suhail Ahmed in the 500cc Novice category. In the Womens 350cc category, Rinku Tahare took the top spot. Suhail Ahmed won the ultimate ‘Race of Champions’. Attendees of the 2016 edition of Rider Mania also witnessed the debut of Riding school STRE (or She Travels on a Royal Enfield), a program where women learn to ride a motorcycles. The custom bike display is one of the biggest attractions at Rider Mania. This year, Rider Mania had some of the most prominent names in the Indian custom building industry. 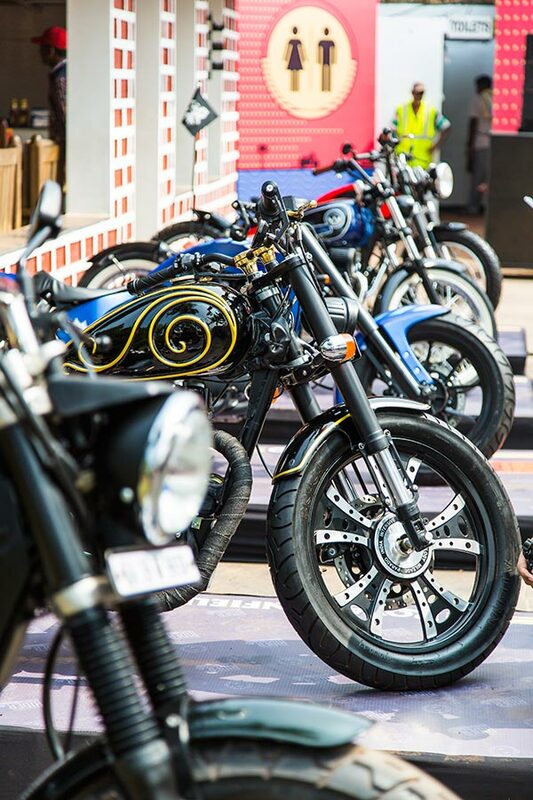 From experienced names like Old Delhi motorcycles to the new talents like Young Kid Customs showcased their best designs exclusively made for Rider Mania 2016. Bull City Customs, Buraq Motorcycles, XLNC Customs, In line3 Customs, Wheel Vedas Customs and Bulleteer Customs were the highlights this year. The Long Distance Riders Forum hosted prominent riders from around the world like Kedarnath GM, author of ‘Dream to ride around the world, Srinivas Chamarthy and Vishvesh Mehta. The forum is an opportunity for new riders to get inspired to explore and not get intimidated by their fears.